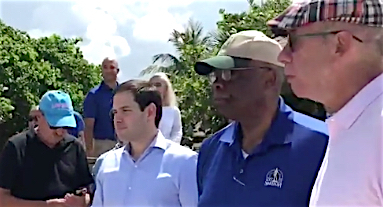 Two days after U.S. Sen. Marco Rubio of Florida toured severely eroded areas of South Lido Key Beach, Florida Department of Environmental Protection (FDEP) Secretary Noah Valenstein granted the Joint Coastal Permit the City of Sarasota and the U.S. Army Corps of Engineers (USACE) need to dredge Big Sarasota Pass to renourish a 1.56-mile stretch of South Lido. However, Valenstein did stipulate that the removal of sand from Cut — or borrow area — B of Big Pass and the easternmost 1,200 feet of Cut C may not occur from April to September. He further stipulated that the permit authorize the removal of up to 1.3 million cubic yards of sand, instead of more than 1.7 million cubic yards, as FDEP would have allowed when it issued its December 2016 Notice of Intent to allow the project to proceed. The two new permit conditions were included in the Recommended Order Florida Administrative Law Judge Bram D.E. Canter issued on May 8,after reviewing testimony and evidence in a five-day Florida Division of Administrative Hearings (DOAH) case held in December 2017, mostly in Sarasota. 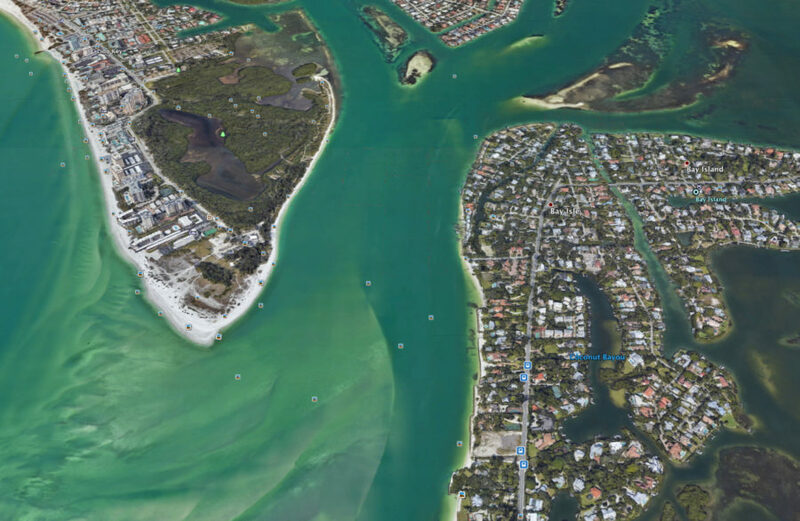 During that proceeding, the Siesta Key Association (SKA), Save Our Siesta Sand 2 (SOSS2) and three individuals who reside on Siesta Key challenged FDEP’s plans to issue the permit to the city and the USACE. 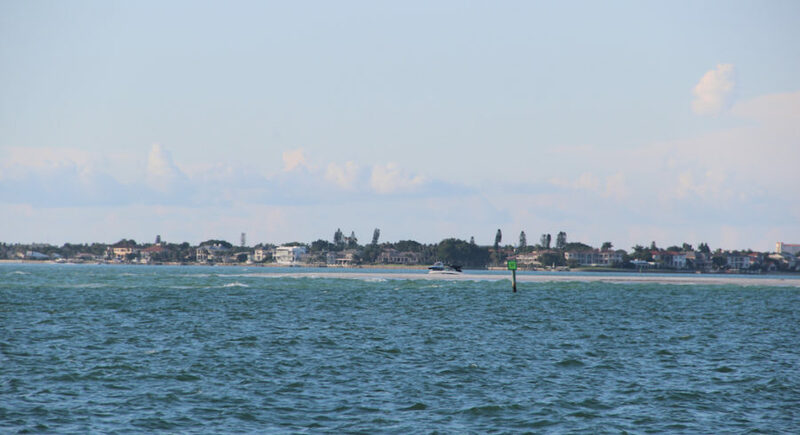 They presented expert witnesses who explained what they have contended will be negative consequences for Siesta Key and Big Pass itself if sand is removed from the waterway and its ebb shoal. Those trout spawn from April through September, Canter added. The Lido Key Residents Association (LKRA) — which was allowed to intervene in the case — submitted Exceptionsto Canter’s order, saying Canter was wrong to give weight to Gilmore’s testimony. “Dr. Gilmore’s field investigation consisted of a single, one hour visit wherein he utilized a hydrophone to detect sounds in the water,” the LKRA argued. “In that one hour, Dr. Gilmore testified that he heard spotted [sea trout] spawning in certain areas, the sounds being more intense in some areas as opposed to others. … Dr. Gilmore did not testify that he saw any spotted [sea trout], his identification of their location and spawning activity was solely based on judging what he was hearing,” the LKRA contended. “Dr. Gilmore presented no evidence to suggest that there were spotted [sea trout] spawning sites within the entirety of proposed Cut B,” it added. City staff has estimated the total cost of the project at approximately $22 million, with the rest of the funding to be split evenly between county Tourist Development Tax revenue set aside for the city for beach renourishment/maintenance initiatives and a state grant. 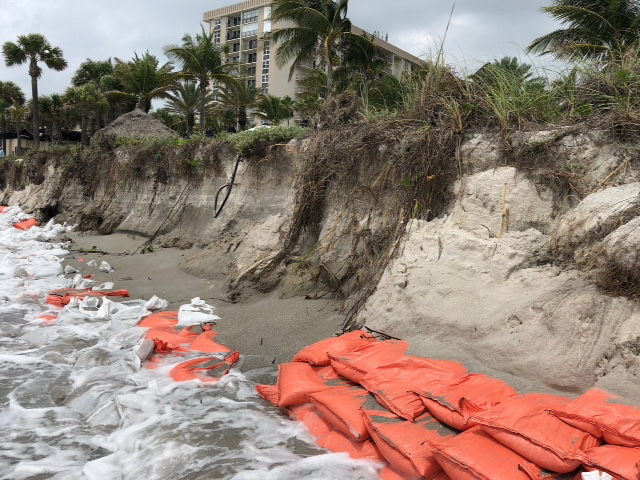 “I don’t think our beach at Lido has looked as bad as it does since 1977,” Commissioner Willie Shaw said during the June 18 City Commission meeting. Since Canter filed his Recommended Order, Barwin has sought to persuade the SKA and SOSS2 from pursuing further legal challenges. Kusekoski also took exception to the fact that Barwin continues to indicate that only a small number of Siesta residents are opposed to removal of sand from Big Pass. An SKA survey in 2017 showed 88% of the nonprofit’s members were resolutely against the project, Kusekoski noted, and they represented about one-third of the island’s residents. SKA Vice President Catherine Luckner pointed out in a June 20 email to the News Leader that the SKA filed a Verified Complaint in March 2017 in the 12th Judicial Circuit Court as a second means of halting the dredging of Big Pass. “The purpose of the SKA Verified Complaint is to encourage the City of Sarasota to engage [Sarasota] County to develop a Best Practices project,” Luckner stressed. “We hoped [the complaint] would encourage the City of Sarasota as a ‘good neighbor’ to work with the County regarding coastal management,” she added in the email. “SKA will continue to work for a best practices project, through donations, researching and engaging governmental representatives, serving the public interest of natural resources [and focusing on the] recreational and financial stability of our unique and beloved coastal community,” she concluded her statement. 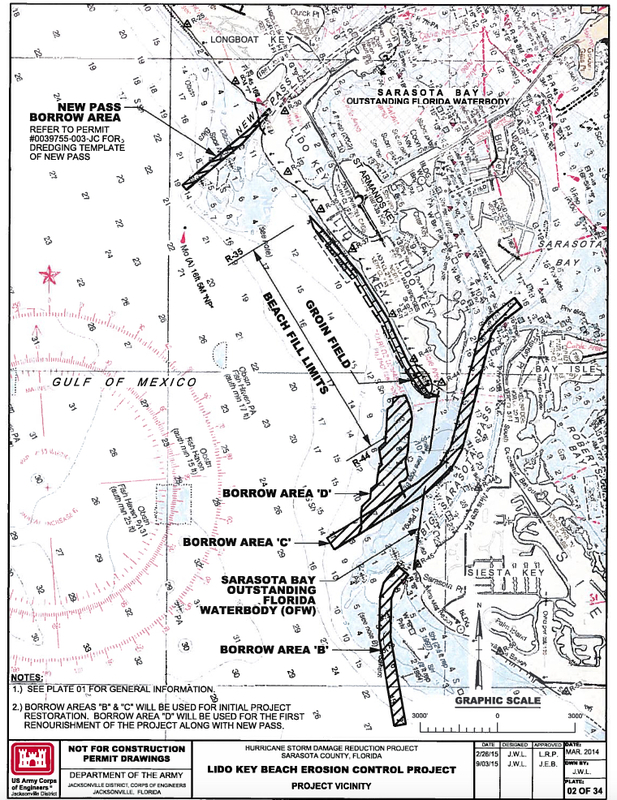 In Exceptions the SKA and SOSS2 filed jointly in response to Judge Canter’s May 8 Recommended Order, they asked that Cut B and the area of Cut C be eliminated completely from consideration for dredging. They pointed out that only 319,000 cubic yards of sand is in those two areas combined. The Final Order explains, “Section 120.57(1)(l) [of the Florida Statutes] prescribes that an agency reviewing a recommended order may not reject or modify the findings of fact of the [administrative law judge] ‘unless the agency first determines from a review of the entire record, and states with particularity in the order, that the findings of fact were not based on competent substantial evidence.’” Furthermore, the order says, “A reviewing agency may not reweigh the evidence presented at a DOAH final hearing, attempt to resolve conflicts therein, or judge the credibility of witnesses,” as made clear by judicial precedents. The Final Order reiterates those portions of the law in providing details about its review of the Exceptionsfiled in the case. The only exception with which FDEP agreed was filed by the Lido Key Residents Association (LKRA). The order notes that the LKRA took exception to Canter’s finding that FDEP “is required to consider and prevent adverse impacts to non-listed species, as well as recreational fishing and marine productivity. If the proposed project would destroy a spotted [sea trout] spawning area,” Canter wrote, “that is a strong negative in the balancing of public interest factors” in determining whether the permit should be issued. The Final Order says that FDEP “concludes that [that portion of the Recommended Order] is a mixed finding of fact and conclusion of law.” Valenstein added that he agreed with the LKRA’s legal analysis that the Florida Statutes require FDEP “to consider and balance seven factors, including ‘whether the activity will adversely affect conservation of fish and wildlife,’” but that the law does not require FDEP “to ‘prevent’ all adverse impacts.” Therefore, FDEP granted that portion of the LKRA Exceptions.